Which Tongue Cleaner to Use? It is extremely important to not just keep your teeth and gums clean but also to clean your tongue for which your should select a good tongue cleaner. Multiple functions are performed by various muscles of the tongue. Different parts of the tongue can perceive different taste sensation. Tongue should be cleaned if not everyday, at least 2-3 days a week. If any discoloration of the tongue is seen, it should be cleaning immediately. 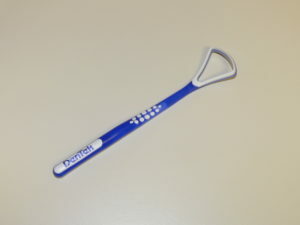 It is the simplest form of tongue cleaner. Once the brushing of the teeth and gums are complete, the bristles of the brush can be moved in a circular fashion over the tongue to clean it. 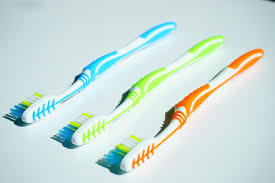 Some toothbrushes have a tongue cleaning rubber pad on the back. This too can be used. The rubber pad has elevations on it which helps in cleaning the tongue. It is also gentle compared to bristles and hence will not abrade the tongue. 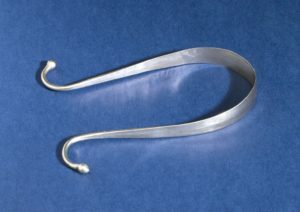 A metallic or plastic tongue scraper is used over the tongue to clean it. It should be run from back to front and without pressing very hard, as it may then cause damage to the top surface of tongue. Either way, keeping the tongue clean will result in absence of harmful bacteria, improving taste sensation and also preventing bad breath.